Enter your school email address. Click Next. Enter password (same as email address password). Click Sign In. Upon logging into Google Classroom (https://classroom.google.com), you will need to choose “I am a Teacher. 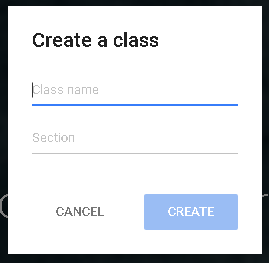 Now, look at the top right corner and choose “Create Your First Class” and select the +sign. Now, name your class and section. Click Create. You have created your first class. If you wish to create more, you will need to choose the + at the top right and repeat process. What will teachers and classified be doing? Teachers will monitor classroom, make contact with students, grade incoming work, put scores in Infinite Campus, work on IEPs, etc. In addition, they may read articles, participate in a book study or other professional learning through Google Classroom as prescribed by the principal/administration. Classified, including office staff and instructional assistants may perform various duties such as cutting, sorting, and preparing various materials as needed. In addition, they may watch videos, read articles, take courses, participate in a book study, or other professional learning activities that pertain to the education of students. Classified staff may access the District Classified Classroom to find these materials. What day do we start using the NTI lessons? NTI days begin on the 5th day, conditions permitting. Once begun, the NTI days will run continuous up to the maximum of 10 days. What is the best way to organize paper materials for student packet. Since each grade level content area has the same lesson in grades 4-8, packets may be compiled by the team of teachers who have a specific group of students. Each pack would then contain each core subject and the related teachers could send materials to each team to be added. Primary – each grade has the same lessons so these are arranged as grade level packs. High school – One solution would be for students to each be handed the materials during each block. Students could go to PRIDE at the end of the day, teacher could check that each student’s pack is complete, then staple and give to student to take with them. Another idea to help make sure students have a “copy” of the assignments is for the teacher to lay out each of their 5 assignments on a table or desk, then have students go by and take a picture of each on their phone. When can we upload assignments to Google? It is ready now. Teachers need to make it inactive until needed. Directions located in appendix of this document. 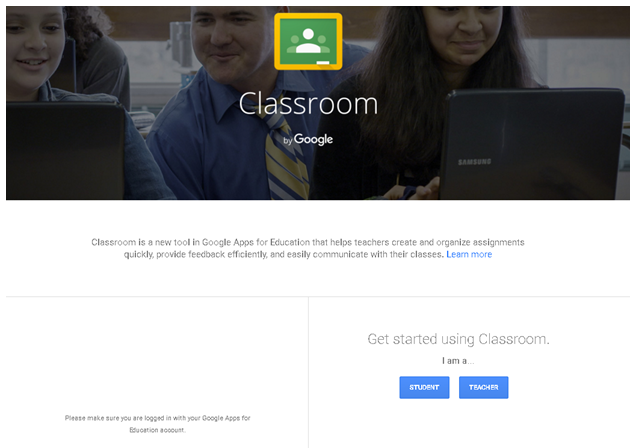 What can we do to better promote use of Google Classroom? Practice, Practice, Practice. Mr. Carver will be in buildings to help get teachers over the reluctance. The practice days in December and January will help teachers feel more comfortable and confident in using. How will the process be engaged? All assignments should be labeled Day 1, Day 2, etc. Upon school being cancelled, a one call noting that students should complete Day 1 of NTI materials. Other media outlets will also advertise this. Also, teachers will go into classroom and make the day’s assignment active. Administration will need to do this for staff as needed but may choose to put everything up at once. What will Title I/GT/ECE teachers responsibility be? ECE teachers may make modifications to regular assignments and post on their Classroom site. ECE students could then access the ECE teacher site insrterad of regular teacher’s in order to complete. ECE teachers should also contact students to check in. GT teachers will provide support through the Classroom by posting activities that students may access. GT students use Khan Academy as part of their regular GT program so they may access this resource as part of their usual supplemental support. Title I teachers may provide support for regular instruction by providing extra support materials on their Classroom; assist the teachers by contacting students whom they serve. All may also watch/read designated materials as provided. Will we need to be available for the entire day or set specific times? Teachers will monitor their classroom throughout the school day which is typically 8:00-3:00. During this time, staff may answer questions, provide feedback, and communicate with students via phone, e-mail, Google Classroom, or other media as established by teacher. Teachers are not expected to sit in front of the computer for the full day. An example would be to check in every hour. If a student has a question, they could expect to be able to communicate at the top of each hour. Availability after school hours will be limited on an as needed basis. There are some solutions that get to the spirit of this question. First, we will have a paper copy of all assignments here at central office. We will make copies for anyone who might need extra. They would need to come by here. Second, a copy of each lesson will be scanned and placed on our website homepage under non-traditional instruction. How will faculty and staff document their day? Each staff member will be required to complete the Staff Activity Log for each NTI day used. This form may be completed in Google Classroom and sent directly to the principal. All forms must be sent to the Kentucky Department of Education. See form in the appendix of this document..
What happens when teachers are not available when students are working? For instance, the student wants to work late in the afternoon, early in morning or at night. The best defense for this will be our NTI lesson structure. Each lesson is required to have an instructional component. This, by design will help prevent students from tackling school work without a model or valuable background information, thus reducing/eliminating the need to seek outside assistance. Since teachers are not expected to work continuously from 8:00-3:00, they have discretion to check in at other times. Encouraging students to give best effort at each task is important. The reflection, if designed strategically, can be a mechanism that allows student to describe problems they may have had in such a way that it is clear to the teacher that an honest attempt was made to complete. This also reduces student stress for those who might worry and thus contact the teacher because it feels less evaluative and more learning oriented..
How many days do we give students and teachers to get work completed and documented? Work should be completed and student activity reports sent the principal within three days upon return to school. Is there a form designated to document student work? Yes, the Student Activity Report. Teachers should create ten assignments labeled Day 1 – Day 10 in their Infinite Campus grade book. Teachers may record a grade between 0 & 100 or use the number 1 for successfully completed the work and a 0 for non-completed work. A point value should be assigned and that value is at the discretion of the teacher. Teachers should also place the letter P for students who use paper and a D for those using Google Classroom (digital). Do we hold students accountable through grades? Yes. See above. It can simply be a participation grade or can be counted like homework, etc..
What happens if we only have 30-40% participation? Our goal is 94%. That is our average daily attendance. We must have a significant number of students participating to justify the use of this opportunity. If students don’t complete online, do we have them do on paper when they return? Yes. Youi could also have them log in from a school computer and do it electronically during flex, related, PRIDE periods, etc. How do we track participation? The student activity report. Students who complete and receive a grade and those who don’t. Before the teachers send student activity report to the principal, which they run from infinite campus grades, they should provide a tally of complete/not complete. Scenario: You want to create an assignment, but do not want it to be visible right now. You want to save it for later. So, how do I save my assignment as a draft? 1. 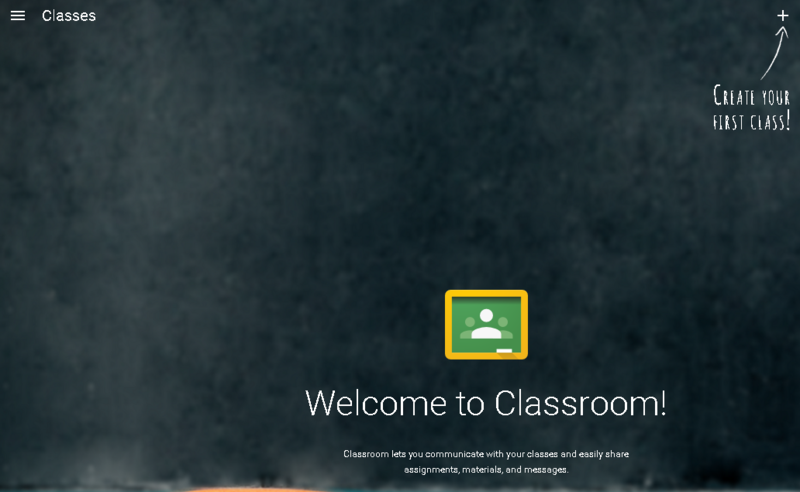 Upon logging into Google Classroom, and then your class, go to bottom right and click the plus sign. Choose Create Assignment. 2. Add your title, as well as instructions for your assignment. 3. If needed, select the paper clip and upload the document. 4. When finished, at the bottom right, click the drop down beside the Assign button. 6. You now can later access the saved post, which will be located at the top of the page (within the class). 7. From there, you may change it to an active post whenever you wish. Teachers will monitor their classroom throughout the school day which is typically 8:00-3:00. During this time, staff may answer questions, provide feedback, and communicate with students via phone, e-mail, or other media as established by teacher. Teachers are not expected to sit in front of the computer for the full day. An example would be to check in every hour. If a student has a question, they could expect to be able to communicate at the top of the each hour. Availability after school hours will be limited on an as needed basis. Additional activities may also include spending time developing or analyzing lessons, reviewing assessment data, grading, completing IEP’s, etc. School administrators may also provide professional learning videos, articles, etc. for capacity building purposes. Called each of my 24 students. No answer for 6 of them. Read section 5 and responded to reflection on classroom. I posted grades for all digital students in Infinite Campus and will complete for the paper filers within 3 days upon return to school. I may enter as a grade or a 1 for complete & 0 for incomplete and code as D) digital or P) paper. I certify that the above is a correct statement of time spent with duties performed during Non-Traditional Instructional Days. Submit to the school principal upon the return to school. All classified instructional staff will be assigned duties for their identified non-traditional days as directed by building administrators. Responsibilities may include creating classroom materials, (cutting, sorting, etc.) participation in a book study or other learning experience. Classified staff may also be provided with opportunities to review videos and other materials pertaining to student learning. Office personnel may also have access to tasks that will help support school business operations. Some days may be relegated to time at the end of the instructional year to complete tasks that better support school operations. Completed module one in the “learning to Use Excel” program. Teacher prints a paper copy and submits to Principal within 3 days upon the return to school.